While APIs found their way into the market in the 1960s, it is not until a few years ago that they started becoming popular in the wine, beer, and alcohol industry. And although many people don’t know how to leverage these APIs in sourcing the best products, expand their brands, and improve sales, they are becoming essential tools that everyone should be aware of. If you’re looking for an API to help you build your alcohol or beer-related application, you’ve come to the right place. This API provides a universal, crowd-sourced database of beverages and cocktails from around the globe. It features an on-net database that contains cocktail information which can be integrated into applications, software, and websites. The tool has a simple JSON API that can be used by anybody to get a vast array of cocktail recipes. A personal key or application is required to access this API, but it is free for non-commercial purposes. The Open Brewery DB API is an open API for all things beer and essentially a beer mapping API. Brewery DB boasts an API that can return data in JSON format, and from their unique API documentation, they seem to have quite a robust database with information about beers and breweries. This is a great API to find breweries by location. This API provides users with two environments: The sandbox environment is ideal for persons who agree to the tool’s terms of service, and the production environment for paid API subscribers. All data is returned in JSON response. Test it right in your browser on RapidAPI now! Want a clear guide to vegan wine, beer, and liquor? Barnivore API has got you covered. This vegan directory highlights the vegan status for thousands of alcoholic drinks from all over the world. They provide an API that provides a list of alcoholic beverages that are 100% vegan-friendly. With a database of more than 26,000 wine scores which have been aggregated from many expert ratings, Global Wine Score API returns a score for every wine along with information such as its region origin, the producer and type of grapes used among others. However, the most useful aspect is that users can integrate Global Wine Score capabilities into their websites, and still utilize their preferred layout and managing plans. The Global Wine Score API is free to use on RapidAPI, but requires an authorization token from https://www.globalwinescore.com/api/. This is an intuitive API that provides you with a vast array of social aspects about beer. These include things like what people are drinking right now, beer ratings and other beer-centric information. This is the place for all people including average beer drinkers, homebrewers, and beer industries. Available on RapidAPI, Direct Wines API is a mail order merchant that provides JSON formats and can be accessed by developers who have a valid API key. Requests for a cart, user and wine recommendations are available. Direct Wines offers a way for users to consume different API’s around, customer, product, and account. Even post request an order for wine. While Drizly is an on-demand beverage delivery service, their site boasts an intuitive API that allows developers to embed drink ordering into 3rd party applications. While API is not yet publicly available, developers can contact Drizly directly for access. Untappd is another social/beer API that allows you to discover beer-related aspects such as the most favorite beers, where you can find them, and the producers. It also allows consumers to expand their palate by offering new & authentic beer styles. It’s the best API to find a list of beers or by type. How to get an Untappd API key? You can request an API key on their site. However, it may be difficult to acquire one as you need an app (or at least an idea for one) to get started. They do not give out API keys for users who just want to test the API. 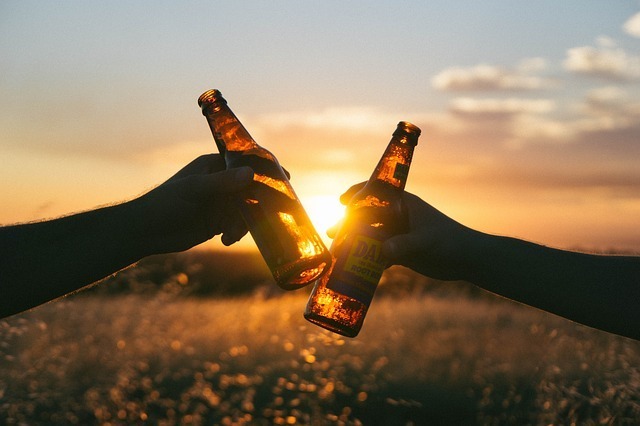 Of course, there are several alcohol-related APIs out there, but if you are looking for the most promising and popular APIs, try the ones discussed in this text. Some of these APIs can be accessed all by developers from all over the globe, but there are others that are constrained to specific areas. Which alcohol or beer API are you using to build your mobile or web app? For more details on APIs, check out RapidAPI and join over 500,000 developers to connect to over 8,000 APIs.